“Ghost towns in UK are a real problem. The realities of London’s housing crisis have been made even more clear, after it has been found that seven out of 10 properties on one Kensington street are second homes. On the 300 metre length of Ashburn Place in Kensington, West London, which has 131 residential addresses, 70 per cent of the homes are not classed as a main home, according to Kensington & Chelsea Council. The council’s figures were obtained via a Freedom of Information request by The Steeple Times. The numbers show that Kensington and Chelsea has the highest proportion of second homes out of any densely-populated area in England – the City of London and Isles of Scilly have more second homes, but are fairly sparsely or infrequently populated. The City of London only has a population of around 7,000, owing the high concentration of offices, rather than residential properties, in the area. The area’s changing population has resulted in a string of high-profile businesses closing, as the Evening Standard reported when the beloved restaurant Racine closed down. 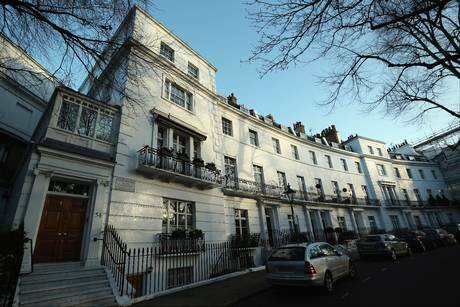 Egerton Crescent, in Kensington and Chelsea, has been named Britain’s most expensive street for two years in a row. Increasingly, businesses simply don’t get enough custom, as local residents are moving away and being replaced with second home owners who do not live there most of the time. The “lights out London” effect has resulted in many parts of central London becoming empty ghost towns, with few permanent residents. Ashburn Place stands head and shoulders above the other streets in the top five – in second place is Sloane Avenue, a short walk from Ashburn Place, where around 4 in 10 properties are second homes. The similar problem on the Isles of Scilly has caused problems there too – low average wages coupled with soaring house prices due to the number of second homes increasing scarcity, means that the wealth of some Scilly Islanders is on a par with that of Slovakia and Slovenia.